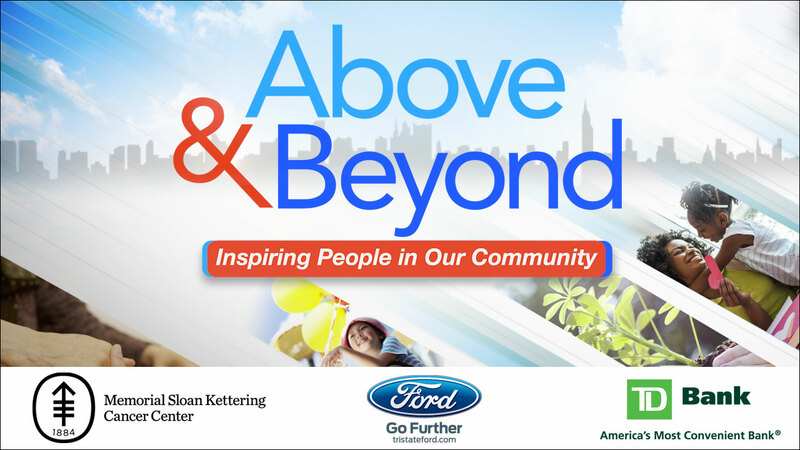 Above and Beyond: Nominate someone today! NEW YORK (WABC) -- We are honoring those who help their neighbors, who bring awareness to causes big and small, who lift our spirits and make our communities better places. Do you know a person in New York, New Jersey or Connecticut who fits that description, who is accomplishing things that truly go Above and Beyond? Help abc7NY tell their stories by submitting a nomination using the email form at right. We want to tell the stories of the good, the hopeful and the inspirational. Eyewitness News Anchors Michelle Charlesworth and Rob Nelson share the stories of people from all walks of life who are stepping up to help their neighbors. We hear about a 13-year-old who took it upon himself to stock an entire food pantry when he realized there were people in his community who were going hungry. He created "Cory Cares" and encourages other teens to get involved. Is there a person making a difference in your community? Tell us about them, and they could be featured on Eyewitness News.